Looking for a great new pair of shoes? How about a pair of Toms for 15% off and FREE Shipping with coupon code NEWYOU! Toms are incredibly comfortable shoes for men, women, and children. 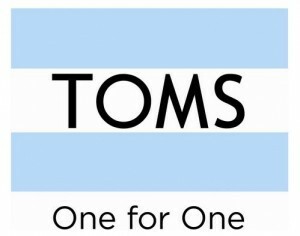 Also, Toms donates a pair of shoes to a person in need every time a pair of shoes is purchased from them, so you’ll get a neat pair of shoes while helping someone out in the process.